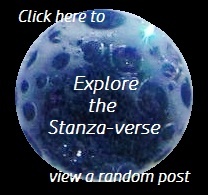 Off the Wall | What Rhymes with Stanza? a decade now, with price so dear. though scientists claim it’s not for aught. Complex, for sure, but fifty years? when attaching them to house fly brains. instead of flying out open doors. NaPoWriMo Challenge, Day 30 (final day): write a poem that engages with a strange and fascinating fact. This entry was posted in Animalia, daily prompt, poetry and tagged brains, flies, insects, NaPoWriMo 2018, poetry challenge, research. Bookmark the permalink. Oh I really liked this poem. I especially liked the twist ending – and it is a good question! Glad you liked it. Yeah, seems like the scientists could have simplified their studies by finding subjects with better flying skills and bigger brains. I am a scientist and 50 years is a bit much! And some of those guys can’t find the door any better than the fly. :). I enjoyed this one. I’m glad you enjoyed it. Yes, it only takes a rolled up newspaper and a flick of the wrist for me to see all I need to of fly brains. I’ve never known you to hurl insults, but I’ll be on the lookout from now on. This is a legit question. I think they need a little guidance. Please find some answers to your other perennial question in your blog name in the reply to your comment on my last post. Happy May 1st and thank you for sharing your April and helped me share mine!